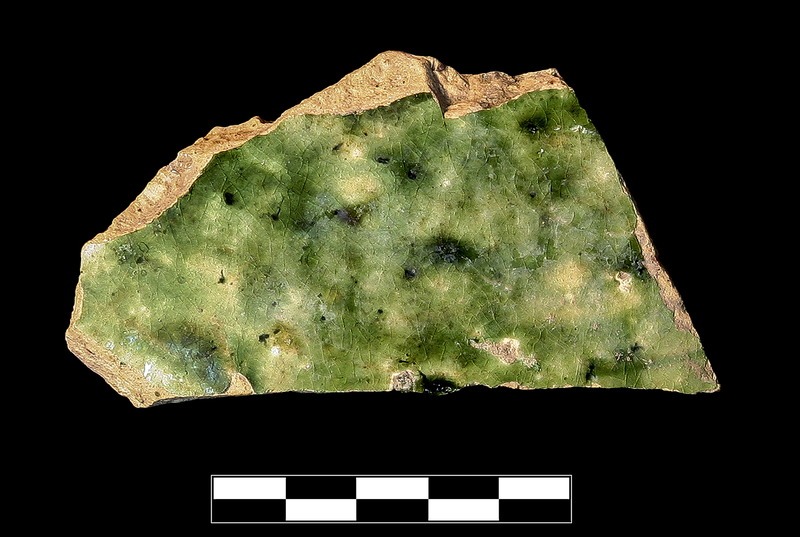 Sherd from straight wall of vessel. Green glazed directly over biscuit on exterior and interior. Pinkish white fabric, some soft, medium fine, with rare, very small, sandy inclusions and rare, small, subangular, white (lime? ); thin biscuit. 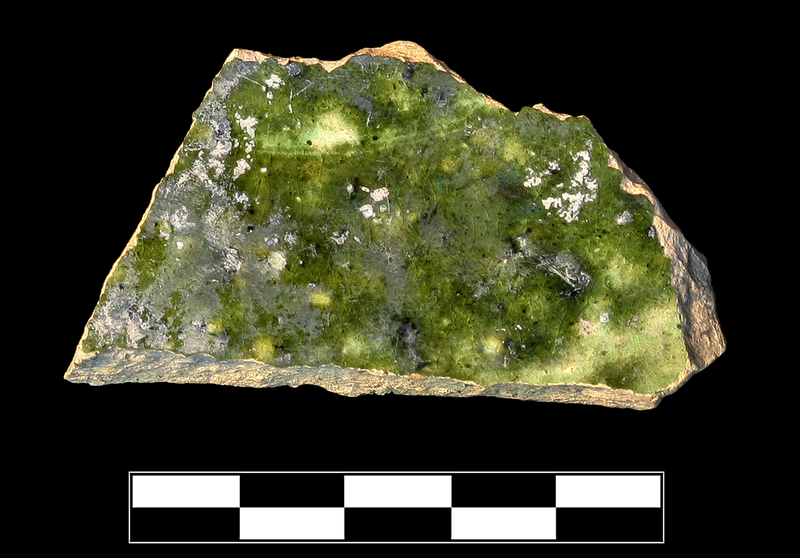 Thick, somewhat uneven, mottled, light to olive green glaze fired to dense craquelure and sparse pinprick bubbles. One sherd preserves small part of body. Slight, somewhat extensive abrasion and chipping around edges; specks of encrustation; incipient vitreous erosion.